There are a few ways to invest in gold. One of the most popular ways is via Investment or Savings account with a bank. The main benefit of this method is, investor does not need to worry about keeping the physical gold by themselves. 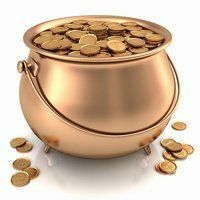 Currently, there are 5 banks offer gold investment or savings account. Normally, banks will issue either passbook or statement to the depositors. Some of the banks do allow physical gold withdrawal. The following table are the details comparison between 5 investment or savings accounts. ck5354, you are right. But the best is depend on what you are looking for. Low spread, UOB is the best. Withdraw as physical gold KFH is the best. I would prefer KFH.No need to hold the physical gold. I also prefer KFH, but currently the price quite high right?? for investment, i think UOB is the best choice since it has very low spread price so we can maximise the profit in the trading. The drawback is UOB required initial deposit of 20 grams and higher min Balance of 10 gram in order to waive the annual fees and it is base on month end balance basis. Another thing is what kind of gold are all these Banks holding for their customer ? Swiss Gold or local Gold, they have different quality and pricing.Will need to find out more. Actually is gold investment the best method to generate more income compared to REITS? No dividen guaranteed (like fixed deposit and REIT) and the gold price is so high compare to 5 years ago, Is there any more room for gold price to go higher withing these 2 years? Is gold investment another option for short term investment? For me, i would go for the lowest spread value, uob bank, but too bad that there is only few uob branches located in msia, which is really inconvenient for us. Does anyone knows how the banks determine or set their DAILY gold prices for sell and buy portion.Is there a fixed formula for our understanding.Most banks claimed it’s set by Treasury department(MOF)?? Teoc ct, I have no idea how to calculate but it should be around market price. The different between banks should be because of the spread. maybank gold saving acc amendment: min 1g initial purchase, 1g purchase subsequent, min 1g in acc balance, no gold wafer withdraw. obl, thanks for highlight. Post updated. Maybank decide to rename their Gold Savings Passbook Account (GSPA) to Maybank Gold Investment Account (MGIA) & make change as highlighted by obl above. Is it good to invest now? insane, it is not easy to answer your question but many people say it is good to invest in gold any time. However, remember it is at historical high price now. Price Spread beat the rest. Price too high? 10 yrs back, u would make the same remark. Physical stock, try Tang Toh Kang(main only), Chinatown, Bangkok, almost 150 years in business. Why Thailand? Gold is their 2nd $$$. Don’t trust me, do some studies and find out ur self. Nobody want paper gold in Thailand. Singapore? Currency is good. Gold? the taxes eat up the margin, forget it! The best anytime withdrawal is KFH. The best spread for investment is UOB. The senior invesment is Maybank. Lot to thing, b4 invest. All have pros and cons. What does low spread mean and is the subsequent investment a must every month? Thiagz, low price spread means that the buying & selling price is close, so you will benefit from it. No subsequent investment is not necesary. Do you mean that the liquidity is more higher if buying & selling price is close? So, buyer can decide to buy & sell anytime? Hope you can explain more on this as I still wonder on the reasons. CP, it has nothing to do with liquidity. It just the different between sell & buy price. Bank gains from the different. When the spread is low, you will break even (bank buying price supercedes your average cost) faster, and hence making profit sooner. Uob is the best.as spread tate is the lowest i make 12k per year.back aug 2010 i bought 450gram at rm140.on aug 2011 i sold at bank buy rate rm166.uob dont have many branch.too sad. interested to invest in UOB. but, is it islamic? Siti, congratulation on your solid gain! hello~~may i know what is the meaning of price spread of gold? 1) Advisable to have both physical gold and paper gold.. Reason being in the event of emergency, physical gold is money, paper gold is not. For few reasons: First, paper gold is only recognized by issuance bank. Obviously, banks or merchants of other countries will not recognized it. Second, bank closed on weekend, obviously no money withdrawal is allowed. 2) For paper gold, spread is lower because no shipping and handling cost involved. Paper gold is selling a paper and computer numbers. But i am skeptical on physical withdrawal. Reason being i have inquired about the physical gold withdraw rate, IT IS ACTUALLY NOT BASED ON DISPLAYED BUY PRICE! IS WAY MUCH HIGHER THEN GOLDSMITH. Please verify this info yourself. 3) For physical gold, spread is higher due to shipping and handling cost. But you own the physical, not just paper. 4) Paper money make paper money faster than physical gold due to lower spread. 4) Paper gold makes money faster than physical gold. 6) All paper gold and silver are not PIDM protected. UOB spread is no longer RM 2. UOB has increased the premium lately. no matter what, I would still encourage people to invest and keep their physical gold. Find a good safe deposit box and then keep them inside the box, and make sure you do not tell anyone about this. If you keep the gold inside the banks, once the bank go bust (remember lehman brothers?) and then so is your wealth. hi, does anyone knows if CIMB is Syariah compliance?. i know that KFH is and MBB/PB is not. not sure about UOB. Hi, thanks for the insightful review. 1. Is the spread always the lowest catered by UOB compared to other bank? 2. And beside paying the difference of buying and selling price, what else we need to pay during trading? Any tax imposed or fee charged by the bank?